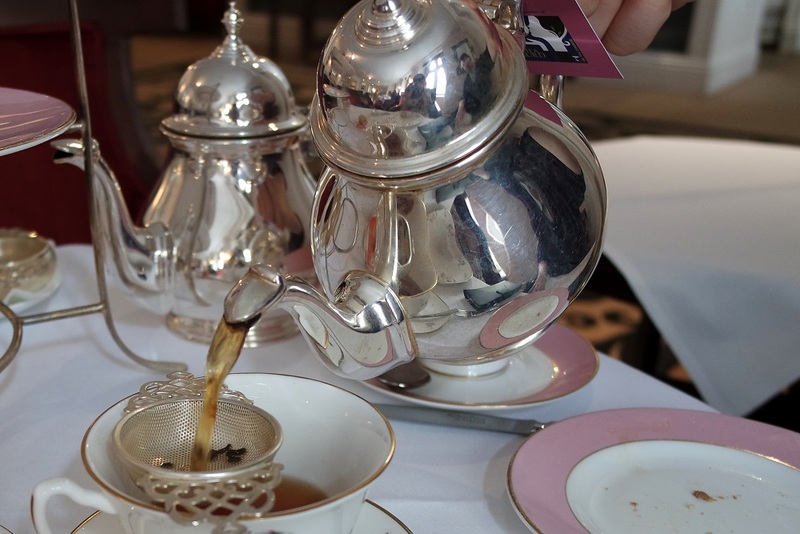 Day three of Afternoon Tea Week and you’ll be glad to know that you don’t have to listen to my wafflings today for instead I a fellow London blogger, the lovely Milly from Mini Adventures, guest blogging her recent experience at One TwentyOne Two. The food we were served as part of their Terrace Chapters event was pretty amazing (I genuinely still think of that teriyaki salmon and chicken satay on a frequent basis) so I was interested to hear what their afternoon tea were like. As you’ll see, they did not disappoint! 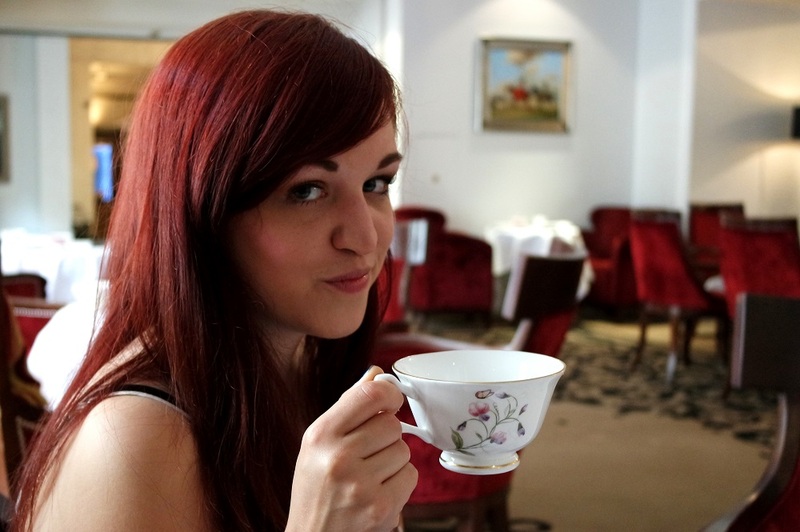 There’s one thing about me that shocks a lot of people – I’m not a massive tea fan. I know. I know. I’ll drink it and enjoy it, sure, but I’d rather a hot chocolate 90% of the time. However, the second you preface the word with ‘afternoon’, I’m all over it and sipping a leaf-based beverage with the best of them. 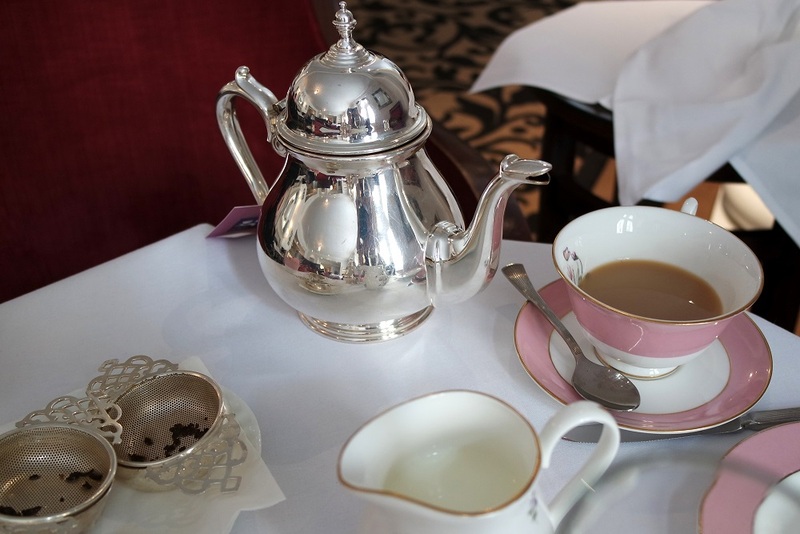 Something about afternoon tea just feels so luxurious, and it’s a wonderful treat. 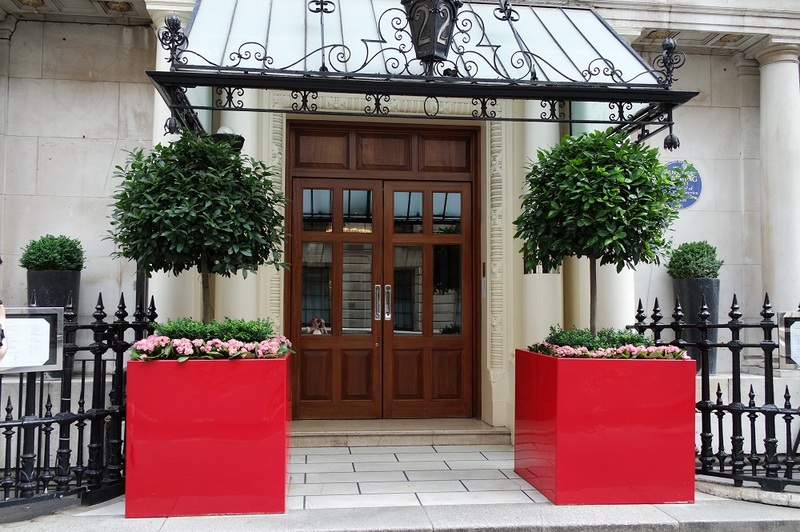 Especially when it’s being consumed somewhere as lovely as One TwentyOne Two at the Royal Horseguards Hotel. For their afternoon tea, One Twenty One Two seat you in their pretty plush lounge area, a lovely balance between fancy but still relatively relaxed and casual. It was pretty quiet when we arrived, and a really lovely space – cakes and sweet treats were on display by the entrance, making my mouth water before we’d even sat down. The staff were lovely and attentive, and talked us through the various options. I chose the Taittinger Afternoon Tea, and was quickly presented with a glass of Taittinger Brut Champagne which was insanely good. I don’t usually have the most expensive taste in drinks (or the funds to develop that taste! ), but I could have happily polished off a whole bottle of the stuff! The selection of teas was fantastic – spanning two pages of the menu, it ranged from classic favourites to more exotic blends. My pot ended up being filled with their Strawberries and Cream blend, unique to Royal Horseguards. Although it wasn’t actually overwhelmingly strawberry or cream tasting, it was actually really tasty. The teapot was massive too, providing around 4-5 full cups of tea. Possibly the most exciting part of any afternoon tea is THE CAKES, and these ones definitely didn’t let down! 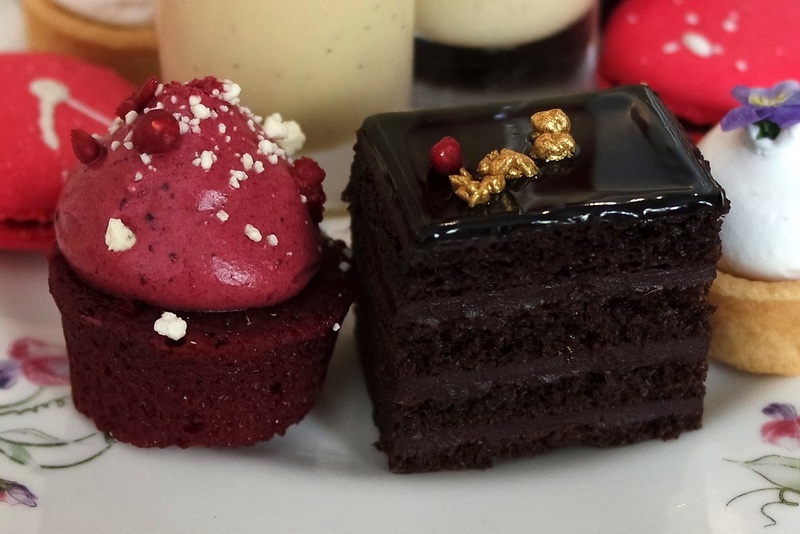 The dark chocolate cake was absolutely amazing and my favourite of the bunch – incredibly rich and mouth-wateringly tasty, with gold edible decoration to give it an extra luxurious touch. 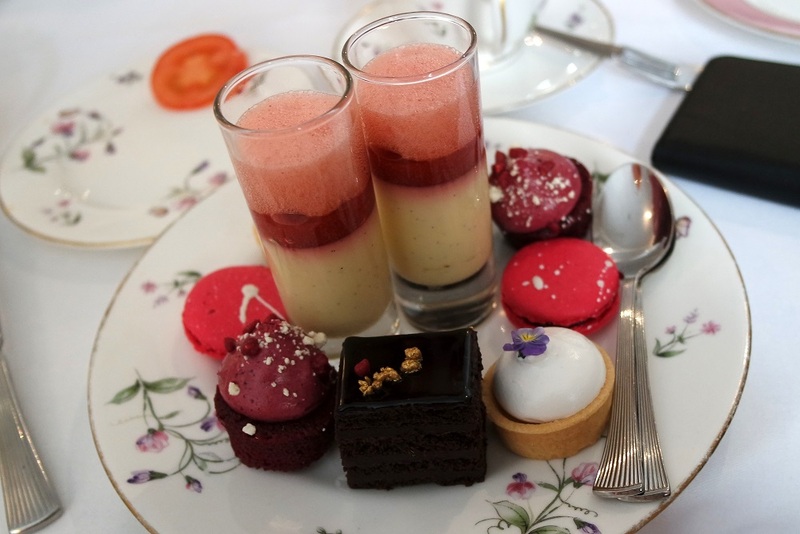 As well as chocolate, there were tastes of lemon (mini meringue pies), raspberry (mini cakes and macaroons) and strawberry and vanilla pod (in the long shot-style glasses!). Unlike the sandwiches, you only got one round of these – but they were so rich and satisfying, I don’t think I could have managed another lot! Last but by no means least, no afternoon tea would be complete without the good old British scones, and the Royal Horseguards ones certainly didn’t let us down! Warm and moist, they had the perfect consistency of soft on the inside and slightly crisped on the outside. As well as a plain scone, they also served up raisin scones, both being promptly filled with plenty of jam and cream! 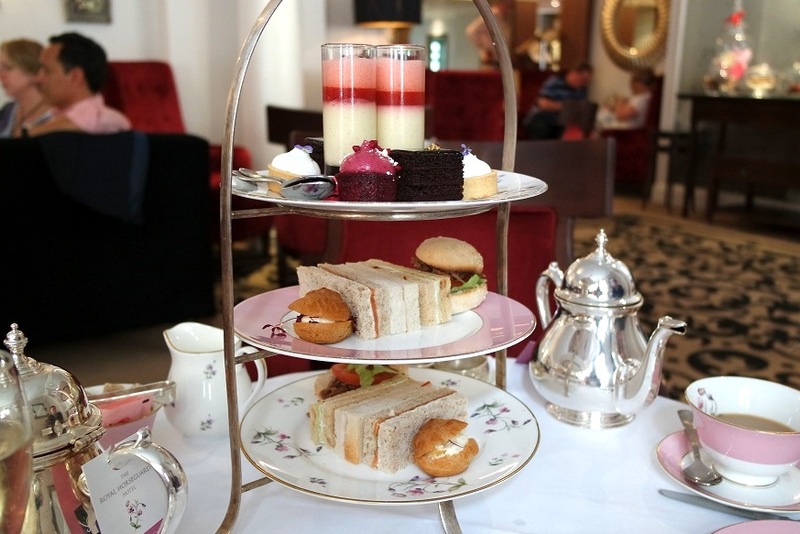 One Twenty One Two definitely offer a fantastic and luxurious-feeling afternoon tea experience. The regular Royal Horseguards Signature Afternoon Tea costs £35, or for an extra tenner you can upgrade to the Taittinger Afternoon Tea. Ours did come in slightly cheaper than that though, so it’s definitely worth looking online for a deal. A huge thanks to Leanne for letting me guest post – if you’re so inclined, you can find more of my London adventures over on my blog!